A volume control in a box made as interesting as possible. Looped through input/output. 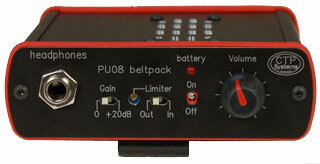 Unit is supplied with a jack socket suitable for both 'A' gauge (stereo) or 'B' gauge (PO) jacks. We can supply it fitted with a mono jack or almost anything else really. A battery powered headphone/earpiece unit with loudspeaker. 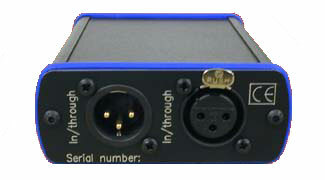 The input to the unit is standard 3 pin XLR. 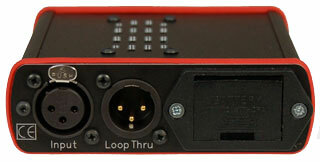 Although the female is marked 'input' the loop through is a parallel connection to the input connector so either may be used for input or loop through. The limiter may be switched in or out of circuit and the limit threshold can be adjusted using a small screwdriver. Plugging a jack into the unit will cut the loudspeaker. The headphone socket will accept both 'A' and 'B' gauge jacks wired either stereo or mono. When the battery voltage falls below approximately 6 volts the battery light will start to flash. 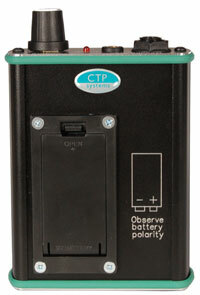 The unit requires a PP3 size 9 volt battery. 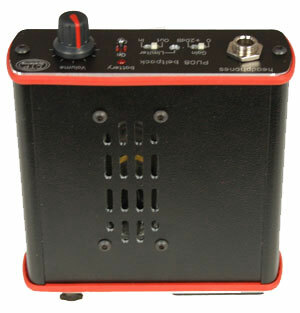 A small and simple single input headphone amplifier. This headphone amplifier accepts either a 3.5mm or 1/4 inch jack. The on/off switch is on the volume control and the unit takes a PP3 size 9 volt battery. 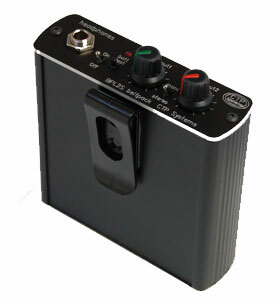 We can supply the unit with either a male or female XLR for audio in. 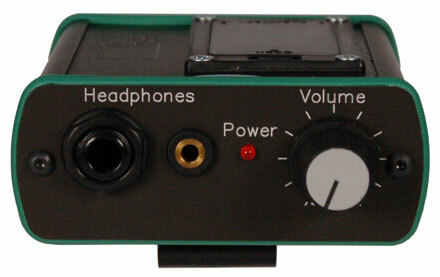 A battery powered stereo/dual mono headphone amplifier. Powered by one PP3 size 9 volt battery, the BPL2S has two balanced audio inputs which may be switched to one or both ears. A battery test button will illuminate the power LED if there is more than one hour's life left in the alkaline battery. 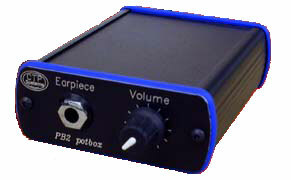 The headphone socket is suitable for use with both 'A' gauge (stereo) or 'B' gauge (PO) jacks.